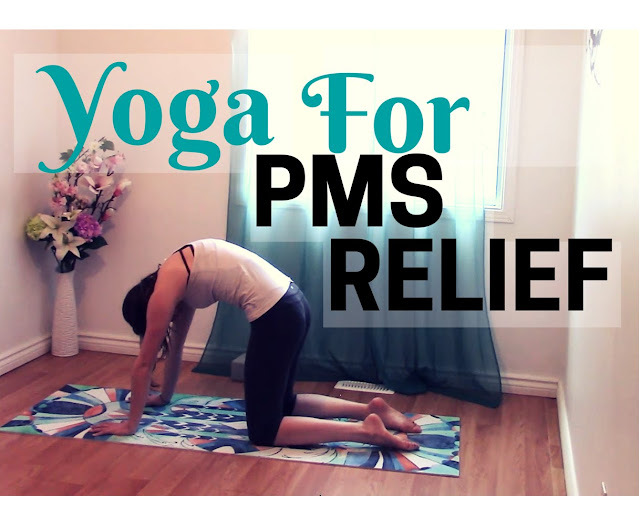 This week's youtube yoga class was for women who experience bloating and mild discomfort during their period. This is pretty common and when it occurs most people will stay away from exercise. Although strenuous exercise can be counter productive, gentle stretching and movement can be quite beneficial to easing cramps and relieving bloating. Next time you experience these symptoms, I suggest you give this class a try. Click here to watch! This video is so wonderful. I know it's for PMS and bloating but I find it really helps me with my lower back pain as well.